A Canyon Country man was shot and killed early Saturday in an argument with his next-door neighbor, sheriff’s deputies said. 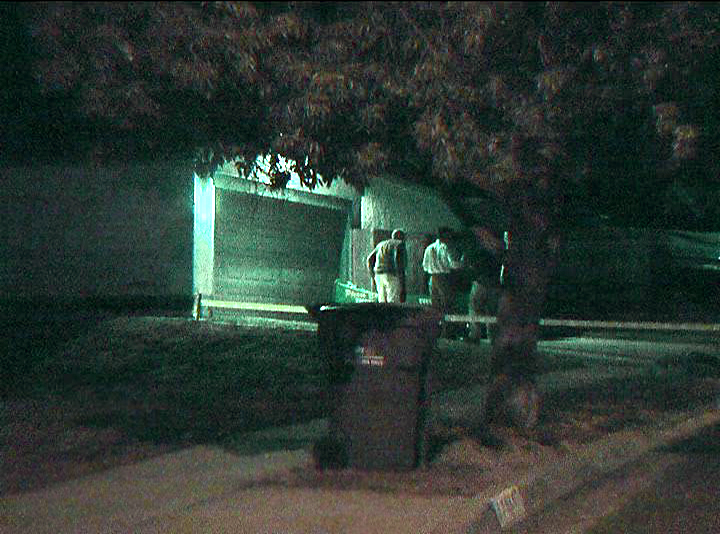 Detectives determined the victim walked over to his neighbor’s house in the 27900 block of Calypso Lane at 3 a.m. to pursue an ongoing dispute. An argument ensued and the neighbor allegedly shot the victim at least once in the upper torso, deputies said. The victim was identified as Anthony Davis, 51. He had a criminal record for a violent act. The neighbor is the only suspect. He was identified as Lennie Tracey, also 51. After being detained for questioning immediately after the shooting, he was booked late Saturday at the SCV Sheriff’s Station on suspicion of murder and is being held in lieu of $1 million bail. Officials did not reveal the nature of the dispute between the two men. Lt. Dave Coleman said numerous 911 callers reported the incident to the SCV Sheriff’s Station. Local deputies responded to calls of an assault with a deadly weapon and arrived to find Davis lying on the ground outside of a house, with a gunshot wound. Paramedics pronounced him dead at the scene. Calypso Lane is located off of Ermine Street in an otherwise quiet, tree-lined neighborhood of single-family homes. Coleman said there were no apparent eyewitnesses to the shooting and did not say how Tracey was identified as the suspect. He said Davis lived with his wife and possibly other family members. It was not immediately known if they were home at the time of the shooting. Public records show Anthony J. Davis and Cindy J. Davis own a house in the 27900 block of Calypso Lane. Records show the neighboring house is owned by Sandra Lee Tracey, 64, with Lennie Paul Tracey, age 52, living at the same address. Court records show Lennie Tracey’s only criminal history in Los Angeles County was a DUI conviction in 1997. However, on Aug. 18, 2008, Tracey’s wife filed a temporary restraining order against him for domestic violence. It was not prosecuted. Just one day later, on Aug. 19, 2008, victim Davis was arrested for striking his own adult daughter and hitting his wife with his car in the front yard of their Calypso Lane home. Neither woman sustained serious injuries. In a plea bargain down from one count of battery and two counts of assault with a deadly weapon (automobiles and fists can be ruled deadly weapons), Davis was convicted Nov. 14, 2008, in San Fernando Superior Court of making a criminal threat against a family member.